← Sirui goes to PMA in Las Vegas! New Sirui T-Series Tripod Kits – Making Sirui Tripods Even Better! 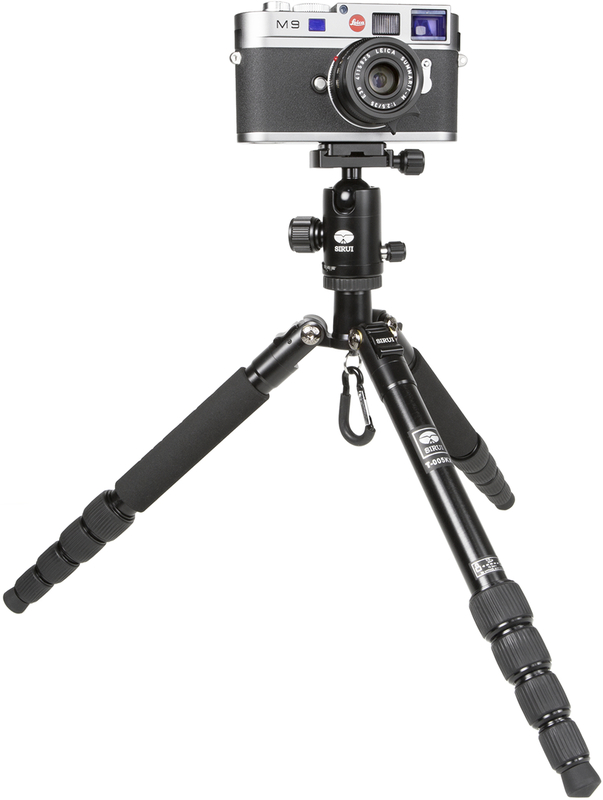 At the 2013 PMA show in Las Vegas, Sirui introduced the second generation of their most popular tripod series – the ultra-compact Sirui T-005/025. The new Sirui T-005X/025X retain all of the features that made the originals so successful, plus a few enhancements that make them even more desirable!! 1 ) Ultra-compact for travel – only 11.8” when folded! 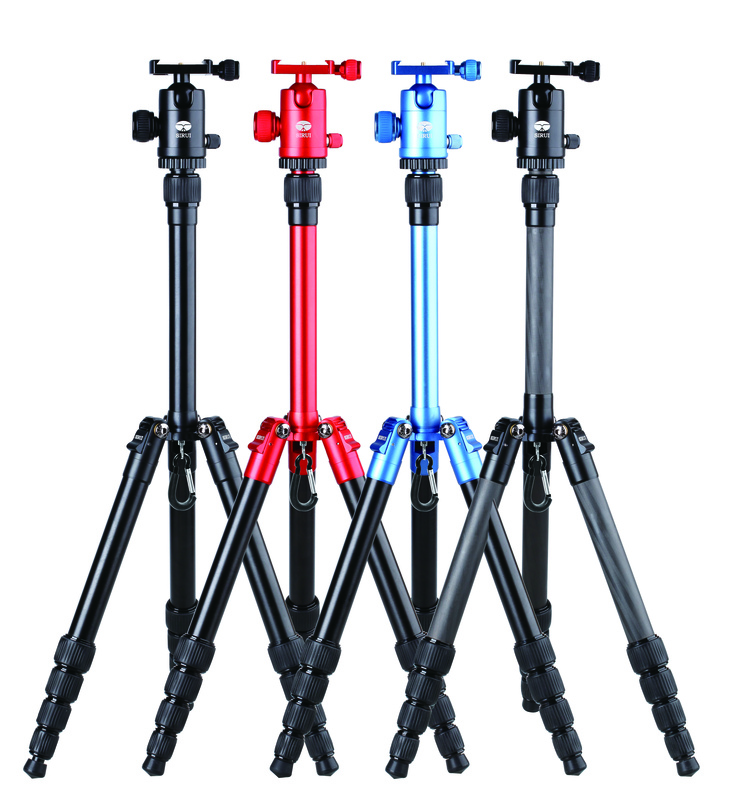 By folding the legs up 180°, these tripods are up to 20% more compact than conventionally designed tripods. There’s always room for one of these tiny wonders in your bag or backpack! 2) Lightweight, ruggedly constructed and stylish! 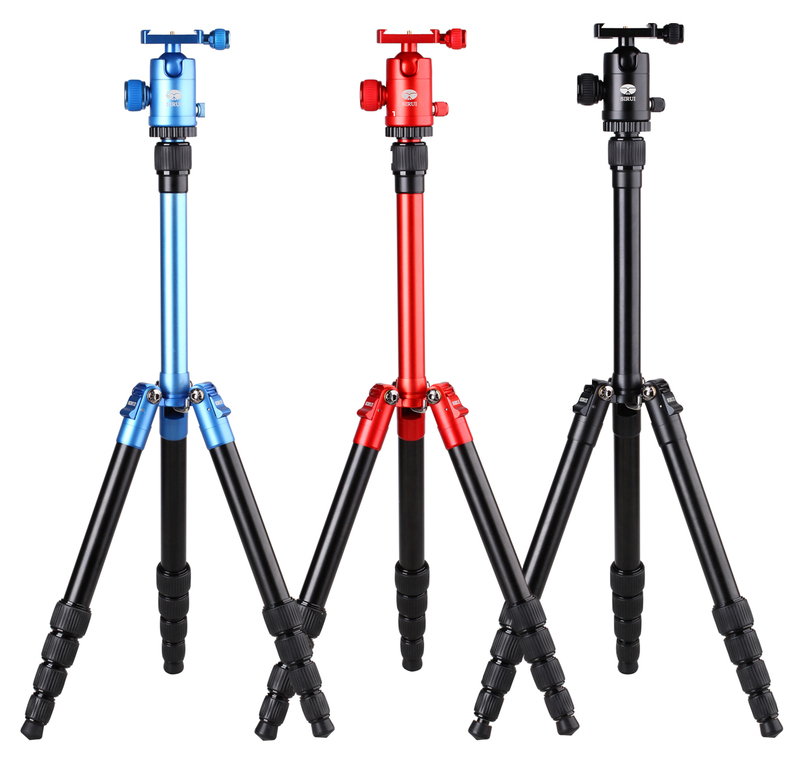 Sirui T-005X tripods have a shiny, colorful appearance that almost makes them look like works of art! The T-005X Aluminum series kit comes in Blue, Red or Black, weighs only 2.2lb with C-10 ball head and securely holds up to 8.8lb! The Sirui T-025X 8-layer Carbon Fiber kit weighs only 1 .7lb with the C-10 ball head and holds an impressive 13.2lb! 3) Although they are compact, these amazing tripods can still extend to over 54.5 inches with the C-10 ball head attached – perfect for most shooting situations. 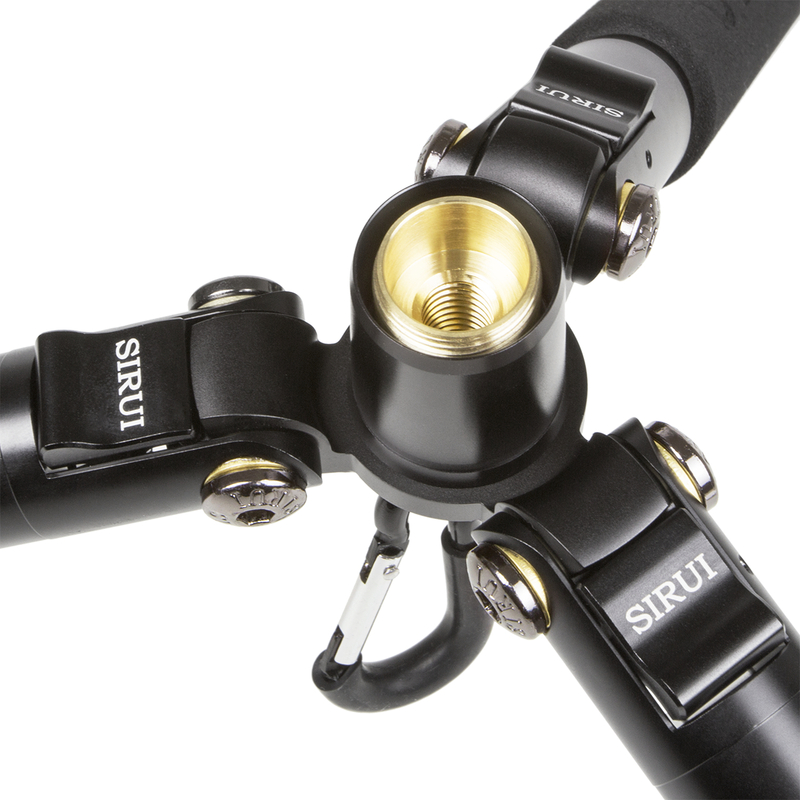 3) Like the professional line of Sirui tripods, there is no compromise in quality. Aluminum alloy parts are high temperature forged for maximum strength – the forging process creates parts that are much stronger than those manufactured by any other metalworking process. And Sirui’s custom anodized surface treatment insures superior wear and corrosion resistance. 4) The easy to adjust 3 leg angle positions provide maximum flexibility and control on uneven terrain. 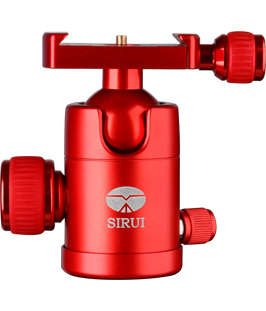 5) The included Sirui C-10 is a high quality ball head that perfectly compliments the tripods. The ball head has a color anodized surface that has a distinctive look, while providing excellent resistance to scratches and corrosion. It comes in 3 colors that match the T-005 and T-025 tripods. Rugged but very compact, the C-10 Ball Head has separate knobs for panning and head lock – for added control and creativity. The C-10 Ball Head has an Arca-compatible Quick Release plate system for total flexibility and includes a Sirui Quick Release Plate. 6) ½ turn leg locks for fast setup and breakdown. Precision manufacturing lets you effortlessly open and close the legs and provides impressive stability. The exciting new Sirui T-005X/025X tripod kits have a center column that can be removed – allowing you to place the ball head directly on the spider. To guarantee long life, the attachment point for the center column is corrosion-resistant brass. 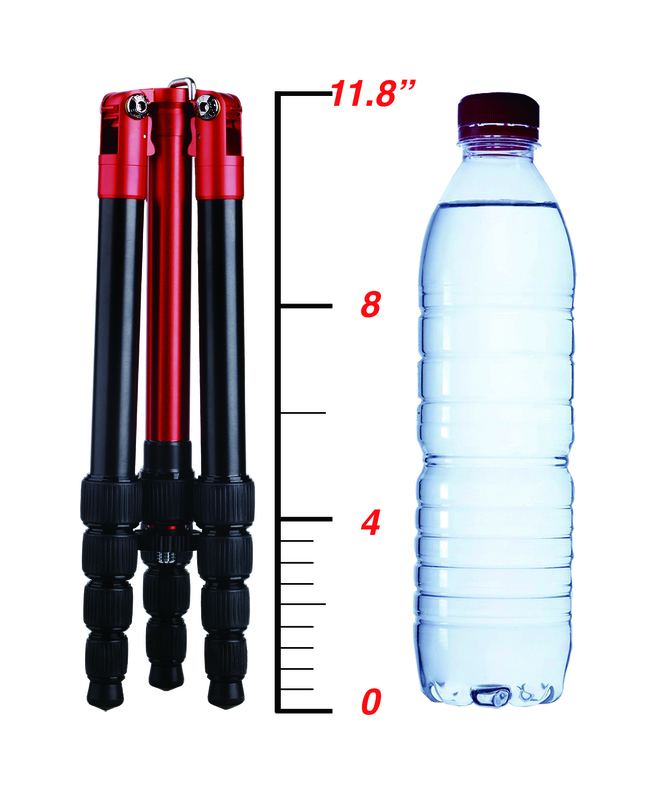 This converts it into a convenient table-top tripod, plus, when you set the legs to the widest angle, you can get as low as 3.9 inches from the ground! For added convenience, the belt clip on the bottom of the tripod can also hold a weight bag for increased stability! Quality, innovation and the features you want, at the right price! As you can see, Sirui products have earned their success because they deliver impressive performance at an equally impressive price. 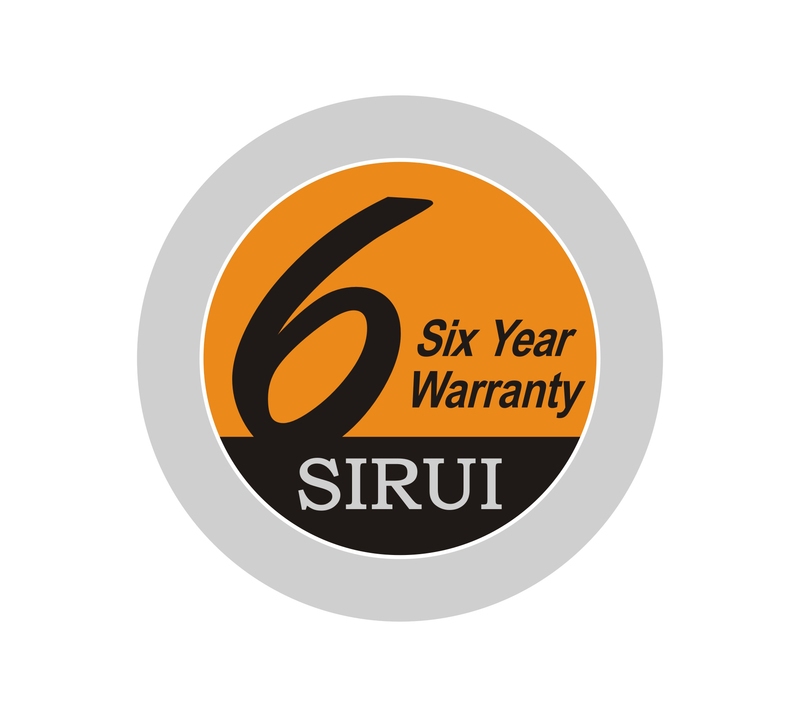 The Sirui T-005X/025X, like all Sirui products, come with a 6 year warranty and offer the best quality for value in the market today. This entry was posted in Photographic Equipment and tagged Arca-compatible, ball head, compact tripods, Sirui, Sirui T-005, Sirui T-025, Sirui tripod, travel tripods, Ultra-compact tripods. Bookmark the permalink. 8 Responses to New Sirui T-Series Tripod Kits – Making Sirui Tripods Even Better! I have a Nikon D90 with an 18 – 200 zoom lens. Is this tripod suitable for my camera? 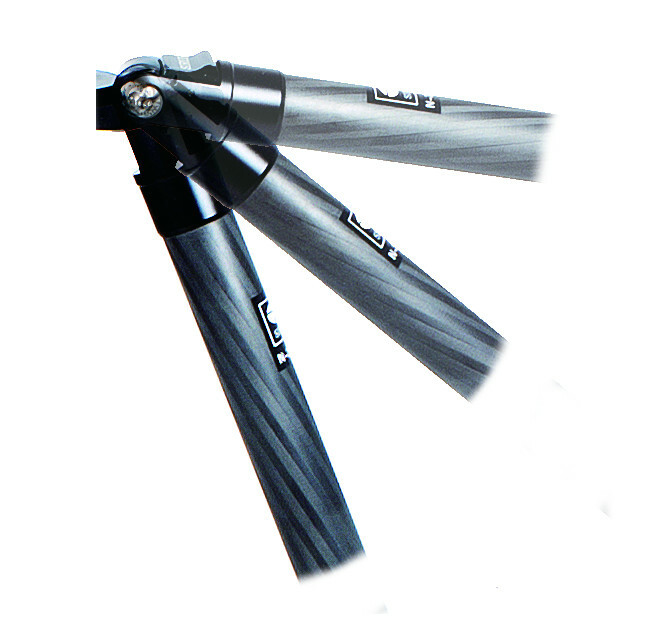 Hello, thanks for your interest in Sirui tripods. 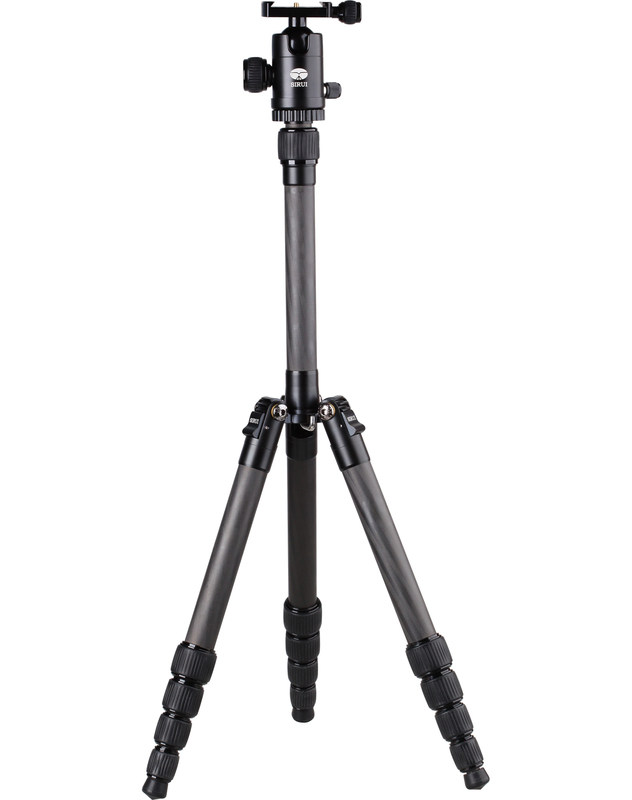 The Sirui T-005 is a very popular tripod for several reasons. At only 11.8 inches, it’s small enough to fit in a backpack or carry-on bag and is light enough go anywhere. And the 54 inch extended configuration is fine for most photographers. The biggest issue is having a tripod when you need it! And the T-005 fits the bill perfectly! Since the 18-200mm lens is relatively small, there should not be any problems using the T-005. And the new T-005X gives you the option of removing the center column for table-top or low angle shooting and provides greater stability! Please keep in mind, the T-005 is ultra-compact. If you find that you will be using longer lenses, you may want to look at a more robust tripod (if you plan on using the tripod with longer lenses all of the time). You may want to consider the TX or N-series tripods. It really comes down to your needs. Many photographers have bigger tripods for studio or long lens work, but find these are too big and heavy. That’s why the T-005 is so successful. It fills a gap that no other tripod can fill. We hope this is helpful. Enjoy your new Sirui tripod. I hope you can advice me in my choice between the T-2005x the N-2205 and the T-2205. I am 170cm and I have to use the tripod for travellng. I have a Nikon D7000 and mine biggest lens is 300mm. The prices between de tripods are big and the use of the tripod is not often but must be very stable. Hi Cindy, sorry for the late reply. We have been in China for 2 months and cannot access Facebook or blogs! All three models are capable of handling the equipment you mention. The TX series is a real traveler tripod. It can fold to only 370mm, yet is 1445mm tall (add the height of ball head and camera, and you are at the perfect height for you!). The T-2005X weighs 1.4kg and the carbon fiber T-2205X weighs 1.2kg – a big difference when hiking around all day! The N-2205 is taller (1690mm), but it weighs more (1.3kg) and does not fold as small as the TX-series (420mm). It has a leg that can be converted to a monopod and can hold up to 15kg vs. 12kg for the TX-series. As you can see, both models will do an excellent job. You just need to decide which model is right for you. Is the compact size more important than a monopod leg and load capacity that far exceeds your biggest lens? The good news is, there is no bad choice! I hope the above is helpful. Any other questions, let us know. 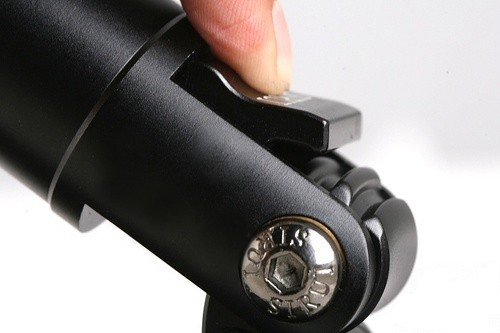 Do the legs on the T-005 and T-005X have an anti twist mechanism, something like the g lock on gitzo tripods? Thanks. All Sirui tripods and monopods have anti-twist leg systems that let you quickly unlock, adjust and relock the legs with one hand! This makes setup fast and easy. Thanks for asking! I would like to buy the SIRUI T-005X for my Canon SL1 with kit lens. Is it suitable?